A city is not one thing. It has all the little details people tend to forget or do not see when they walk into a city. A space is never empty; even the air carries the identity of the surroundings. A big problem if you ask me for the city designers. How can be decided if a building fits the city; the persons; the air it’s going to breath? Let me tell you the story of an architect called Berlage. 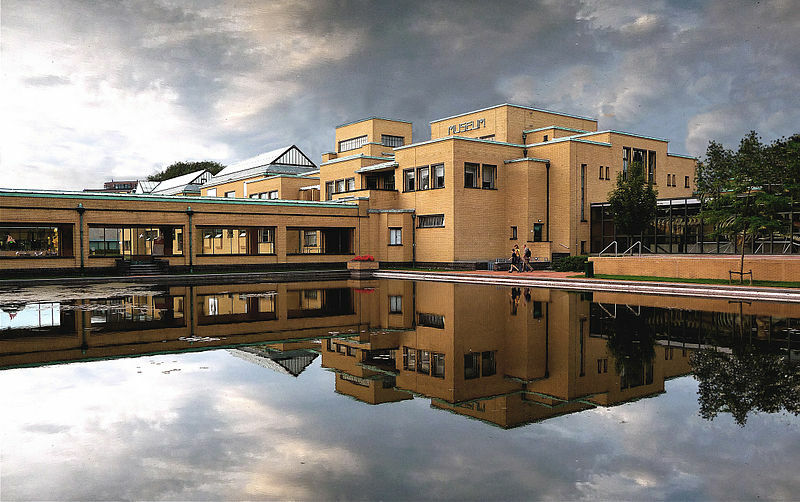 Berlage didn’t start his architectural career in Holland, although he was born here. He first tried to build a career as an artist through applying at the Rijksacademie. This didn’t work out, so he took the next step and he went to study in Zürich at the Eidgenössische Polytechnische Hochschule, and after that he decided to make a tour through Europe. He returned to Holland again when big projects were planned and he was to be the assistant of Theo Sanders [x]. Together they made a plan for the competition to make the new Beurs in Amsterdam. Their design was quite historicizing and eclectic. Compared to the, after they stopped working together, design of Berlage itself; which was a much smoother design, and more focussed on modern architecture in one monumental-looking piece which still fitted the surroundings. 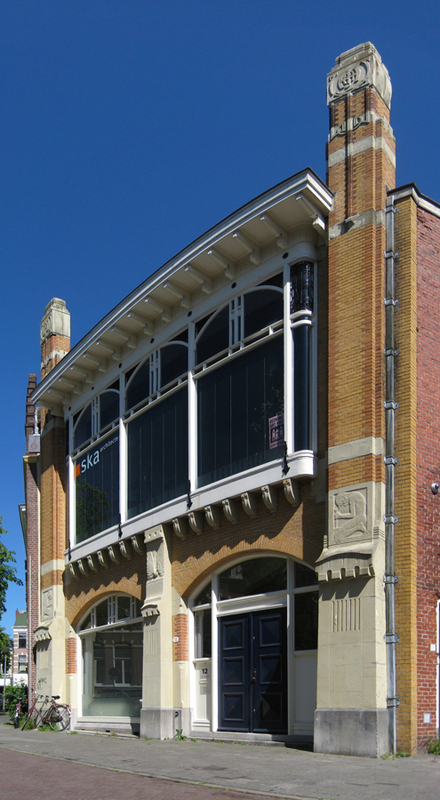 In this period Berlage focussed more on the Romanesque, than on the older eclectic style. 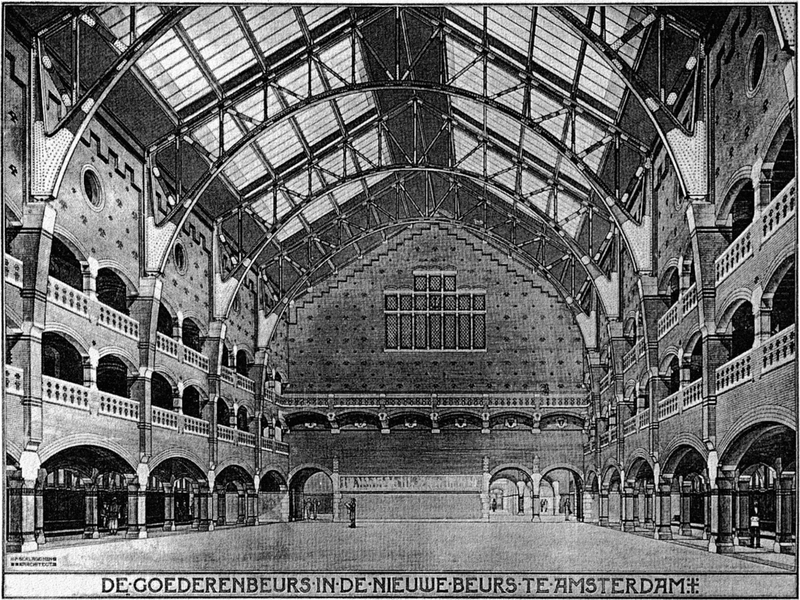 The design of Berlage was realised in 1883. This was the beginning of his career. One of the other most important buildings further in his career is the Gemeente Museum in The Hague. This was also his last mayor work within architecture. It actually opened its doors after he died in 1934. In the construction Berlage decided, instead of using the upperclass-floor material, to actually use plain bricks for the facade.